Kimmerosaurus is a poorly known cryptoclidid plesiosaur known only from skull and neck material (Brown, 1981; Brown et. al. 1986). 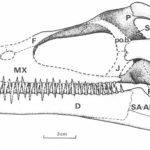 It differs from other plesiosaurs in the large number of needle-like teeth in its jaws, and in the form of its teeth, which are completely smooth and lack the longitidinal ridges present in other plesiosaurs. Brown et. al. (1986) compared the cervical vertebrae of a referred specimen of Kimmerosaurus with those of the contemporaneous Colymbosaurus, and noted the close similarity in morphology and proportions of the material. 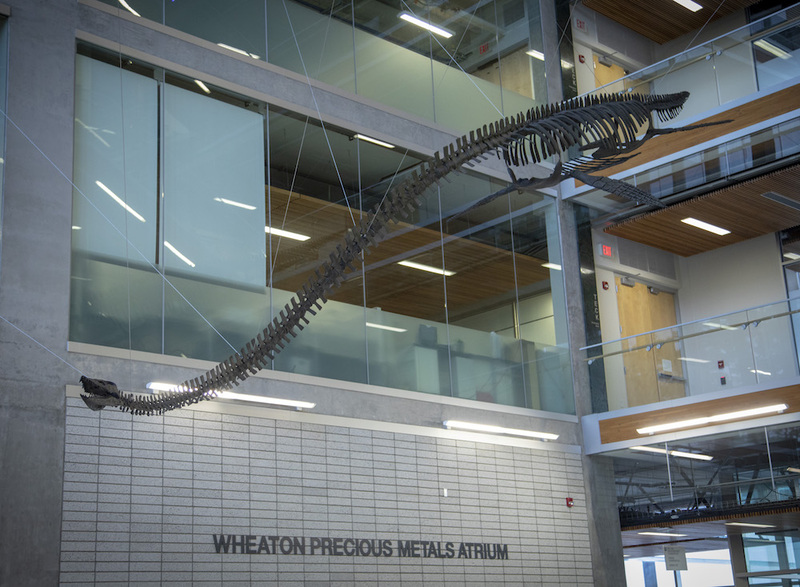 They concluded that Kimmerosaurus, known only from skull and neck material, and Colymbosaurus, known only from postcranial material, may belong to the same species. Based on comparison with Colymbosaurus, an adult Kimmerosaurus grew to about 6.6 m long. 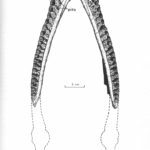 Kimmerosaurus is known from only one species, K. langhami, a species name that honours R. Langham who found the holotype specimen. 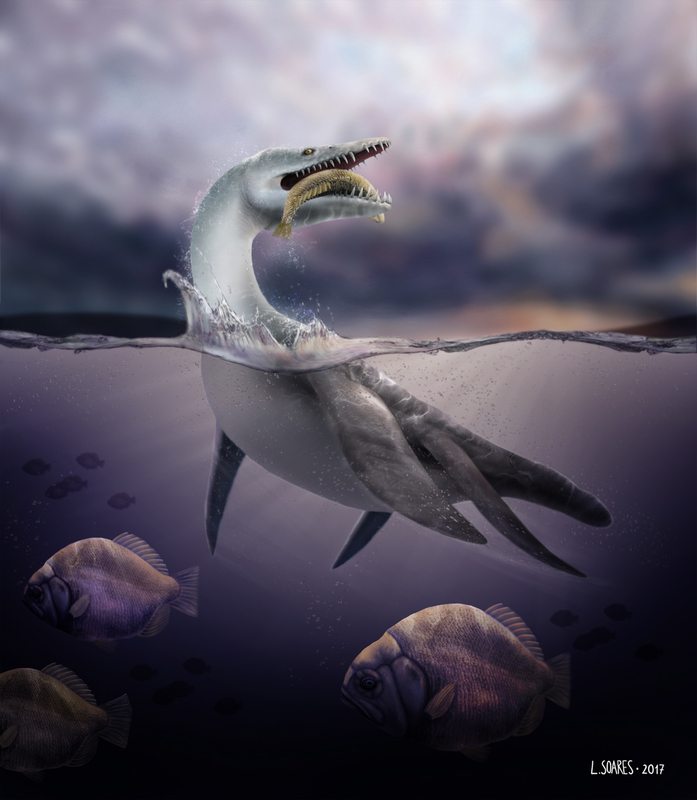 Kimmerosaurus comes from the upper part of the Kimmeridge Clay Formation, which is Tithonian in age (only the lower parts of the clay are actually Kimmeridgian in age). 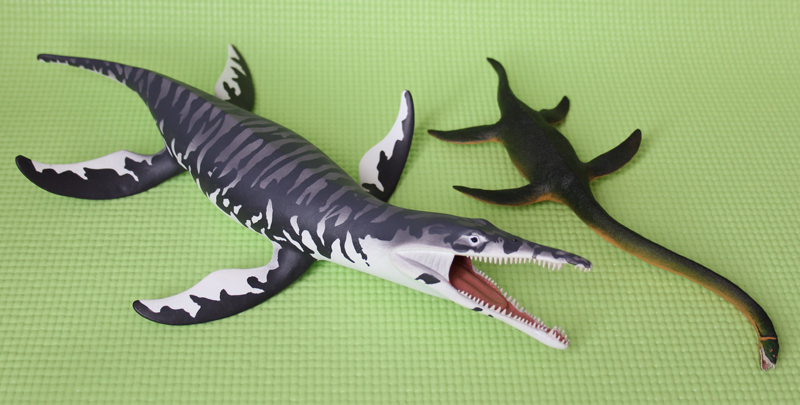 Recent plesiosaur discoveries from Svalbard have been tentatively referred to Kimmerosaurus. However, these are currently under study. Based on the discoveries from Svalbard, Kimmerosaurus was featured in the BBC documentary Planet Dinosaur alongside the mysterious pliosaur Predator X (see my review of the episode here). Skull of Kimmerosaurus. From Brown (1981). 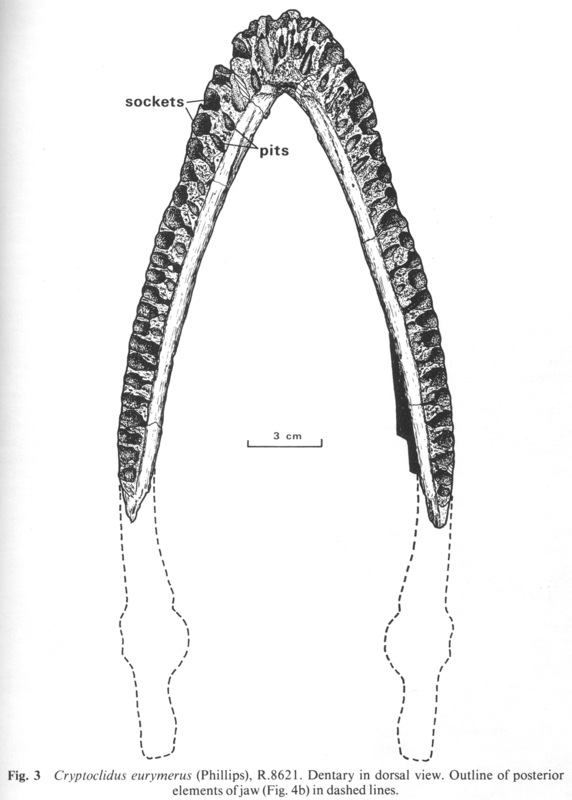 Mandible of Kimmerosaurus in dorsal view. From Brown (1981).